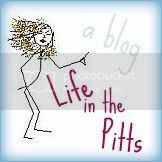 Life in the Pitts: Live blogging from my armpit. See if this were me, I'd whip out the permanent marker and go to town. i cant imagine a more romantic moment. How you can call this less magical is beyond me. I beat Matt when he sleeps. But to my defense... he snores SUPER loudly. And then he has acid reflux or something, so when he wakes up he goes to puke. It's super romantic. So between snoring and puking I get very little sleep. When I get to my breaking point I start beating the crap out of him when he sleeps. This morning he has a big bruise on his shoulder. PROBABLY because he was right up in my face with his snore and wouldn't roll. Someday he might not wake up. I can't be held accountable for my actions. Ha! When did showers become optional? Until I started living with a guy, I had always understood them to be a mandatory part of your day. What kind of rule book did they get? But I'm left wondering WHY he didn't shower for 3 days?! Good thing you wore deodorant I guess. LMAO. i looove my showers. need em. want em. just can't do without em. ohmyword, i'd totally get out the permanent marker!! lol! What a lovely bonding moment for you young married folks. And yeay for Kurt. It's in blogland now! Is this what you mean by "Life in the Pitts?" I don't think armpit sleeping would be comfortable? I think the fact that you tolerated it is proof of your devotion. Sleeping in your armpit, that's a sign of true love isn't it?